We should have the games in hand by next week! At that time, we’ll either give them to backers who attend Phoenix Comicon or we will send them ASAP out to our backers. Even if we have to leave the convention, we’re getting those games out the moment we get our clutches on them! Backers have received several awards so far! The final games are currently being manufactured. We are also providing a pdf coloring book of the artwork from the game as a last minute appreciation for their support. We are aiming for a Kickstarter with another game soon, but of course we want to honor our original backers first for their support by getting them all their products. You can see more of our updates at the KickStarter page. Even though the KickStarter is over, updates will continue until every backer has their rewards. 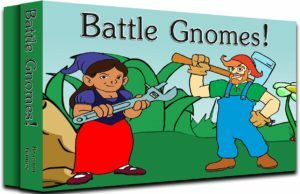 Battle Gnomes! The Kickstarter will run on these dates! This is when the public can support the creation of this game and be rewarded with game copies. The game is mostly completed but requires funds for manufacturing, hence the Kickstarter. 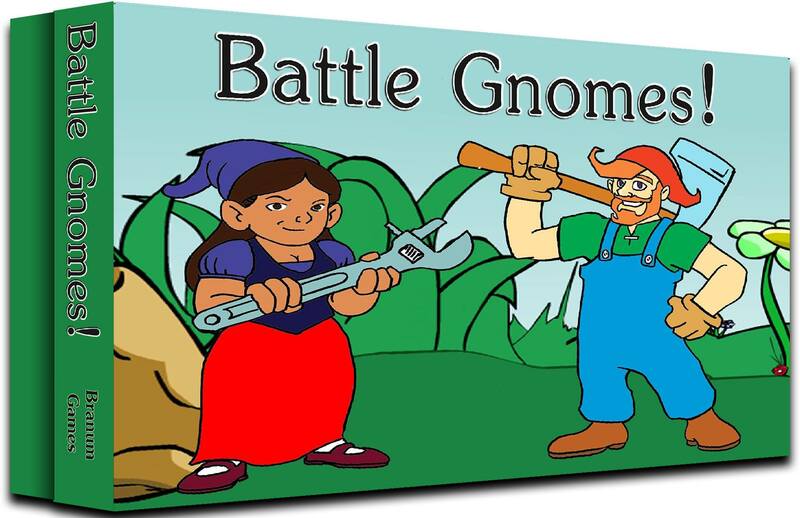 The success of the Kickstarter will also influence the production of the other games we have lined up, and our ability to get Battle Gnomes in stores! I’m hoping to get the game out to people as soon as possible, so as soon as the campaign is over, distribution will begin. I anticipate the backers having their rewards by early 2017. If you would like to see the Rewards and Stretch goals as we build them, check out the Kickstarter page and send us your comments!